Facebook forced users to download a separate messenger app five years ago. Now it appears the social networking giant is revisiting its decision and plans to add Messenger back to the main Facebook app. App researcher Jane Manchun Wong spotted the feature, which is in testing for now. According to Wong, the main Facebook app has a Messenger button. However, pressing the button doesn’t open the separate Messenger app; instead, it opens a new “Chats” section. Further, Wong noted that the chats section in the main Facebook app carries only a few of Messenger’s features. 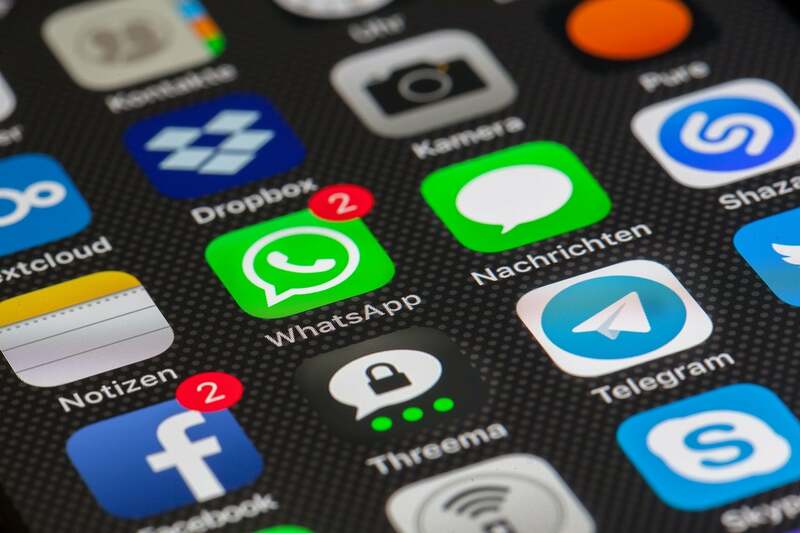 It can be used to send and receive messages, but the standalone messaging app must be used for other features, such as making calls or sending photos. Wong also shared screenshots revealing a white redesign for the app. A similar design was first reported earlier this year and then last month. Such an interface is similar to Messenger’s white redesign, which was rolled out at the beginning of the year. As of now, there is no information on when the new messaging integration will be available publicly. The testing appears to be in the initial phase and is limited to a small group of users. Facebook Messenger is presently being used by 1.3 billion people a month. The app was first launched in 2011, and in 2014, it was separated from the main Facebook app. A question that naturally arises here is why is Facebook adding Messenger to the main app when it carved it out as a separate app years ago. The company’s ambitious plan to integrate all its messaging services — Messenger, Instagram, and WhatsApp — under one roof has long been known. Wong’s finding comes almost a month after Facebook CEO Mark Zuckerberg outlined the company’s plan to focus on groups and private conversations instead of being a public forum. Messaging will be very crucial to making such a plan successful, and that is probably why Facebook is bringing Messenger back to the main app. “As I think about the future of the internet, I believe a privacy-focused communications platform will become even more important than today’s open platforms. Privacy gives people the freedom to be themselves and connect more naturally, which is why we build social networks,” Facebook CEO said in a blog post. Considering this, Wong believes the social networking giant is laying the groundwork for such a future. Thus, this new chat feature in the main Facebook app appears to be a part of the company’s bigger plan to unify all its messaging apps and add end-to-end encryption to ensure user privacy. Reports suggest Facebook has dedicated thousands of developers to this project, which is expected to be live late this year or early next year. Facebook’s plan to integrate its messaging apps reportedly includes the co-existence of each service’s individual app as well. Wong believes the same holds true for the standalone Messenger app, which would exist to serve a different set of users. The last year or so has been brutal for the social networking giant. The company is facing increasing pressure over its privacy practices and also for manipulation of the platform by foreign countries. Zuckerberg himself has faced intense scrutiny over these issues as well. Some have even been calling for a break-up of Facebook by spinning out either Instagram or WhatsApp. Facebook appears to have different plans by integrating all its services. However, the social networking giant previously suggested that these messaging platforms will remain independent entities. In a 2014 letter to the FTC about the WhatsApp acquisition, a Facebook spokesperson was quoted as saying that WhatsApp “will operate as a separate company and will honor its commitments to privacy and security.” At the time of Instagram’s acquisition in 2012, a New York Times story noted that both companies agreed to let Instagram operate as an independent service. Although both Instagram and WhatsApp have remained independent for now, there is a good chance they will not enjoy the same status in the future. Facebook bought Instagram for $1 billion in 2012, and about two years later, it acquired WhatsApp for $19 billion.